WEST SACRAMENTO, CA. – The Sacramento River Cats won in walk-off fashion for the ninth time this season and third time this week, topping the visiting New Orleans Zephyrs 2-1 in 10 innings. 14,117 were on hand Saturday night as both starting pitchers dueled into the late innings, and all 14,117 stayed into extras to watch the River Cats win their 13th straight on Nick Noonan’s game-winning RBI-single. Sacramento found themselves in extra innings for the 16th time this season as they went to the tenth tied 1-1 with the Zephyrs. Jarrett Parker led off the bottom of the inning with a double down the right-field line, cruising into second base standing. New Orleans’ Nick Wittgren managed to get Mac Williamson to fly out harmlessly before striking out Hector Sanchez for the second out of the inning. That brought Noonan to the plate. The left-handed hitting shortstop was 0-2 with a sacrifice fly prior to the at bat, and after fouling off a number of pitches, lined a base hit back up the middle to score Parker and send the River Cats home winners. Noonan was responsible for the River Cats’ first run, as well, again driving in Parker with a second inning sacrifice fly. Overall, he was 1-for-3 with two RB, raising his batting average to .263. This is the ninth time this season that the River Cats have walked off to a victory and the third in their last seven games. They beat the Round Rock Express 3-2 in 13 innings on 8/16 and then beat the Zephyrs by a score of 4-3 in 13 innings just two nights ago. Both starting pitchers were excellent in this one. Ty Blach was dealing for the River Cats, holding the Zephyrs hitless through the first five innings. The left-hander, who tossed a complete game shutout in his last start, went eight excellent innings for Sacramento, allowing just one run on three hits and one walk while striking out four. He threw 96 pitches in the outing, 65 of them for strikes. New Orleans’ starter and former River Cats pitcher Travis Blackley was equally impressive, tossing seven innings of one-run ball. Blackley gave up three hits, walked none, and recorded a season-high eight strikeouts. After allowing the River Cats’ second-inning run, Blackley shut down the Sacramento offense, even retiring the final thirteen straight batters he faced. Mike Broadway picked up the win for the River Cats with two dominant innings in relief. Broadway pitched a perfect ninth and tenth, striking out two as he improved to 2-0 and lowered his already incredible ERA to 0.93 for the season. The win extends Sacramento’s win streak to 13 games, just one shy of the Las Vegas 51s’ 14-game streak from earlier this year. Since 2005, only Las Vegas’ streak is longer than the River Cats’. 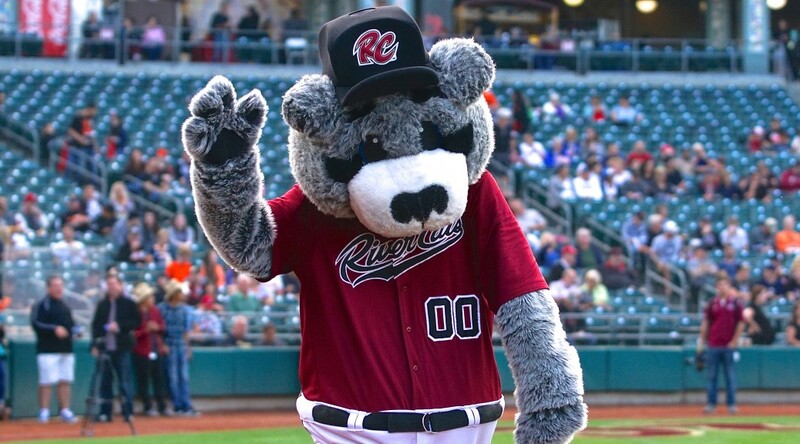 The win also gave the River Cats their third straight series sweep, something that the franchise has never achieved in their 15 year history in West Sacramento. The River Cats head out on their last road trip of the year early tomorrow morning before taking on the Omaha Storm Chasers (Kansas City Royals – AL) for four games. Jake Dunning (4-1, 5.15) will open the series for Sacramento as he makes his first start since May 4. Left-hander Chris Dwyer (2-2, 4.22) gets the nod for Omaha. First pitch is set for 3:05 p.m. (PT) and the game can be heard live online at rivercats.com. The game will also air in its entirety at 7:05 p.m. (PT) on the air on ESPN 1320.